The Club has updated their con page with a new image as well as more info. First up the info, Many have wondered why Cobra Mortal did not have a Chrome head. The club answered fan’s question by stating that there manufactures had no access to chroming. It wasn’t a matter of unwillingness on the club’s but it could not be done. On to the more exciting news, Charbroil! The first Joe for set revealed! What a winner! Excellent parts used, they work surprisingly well as a flame retardant over suit, the vvv torch flamethrower is nice to see return, and the head is classic, and removable! Join the discussion already happening on the forums. 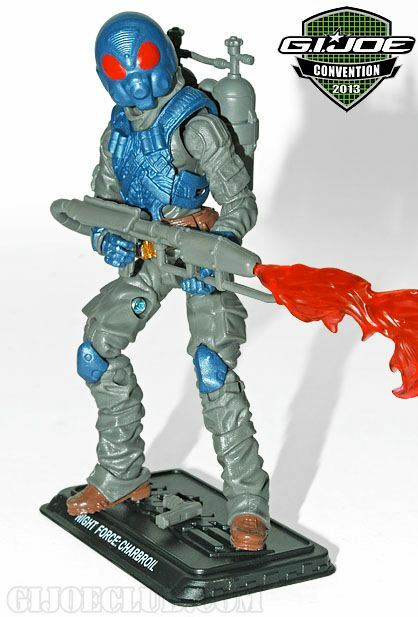 This entry was posted in G.I.Joe and tagged chrome, con, exclusive, G.I.Joe by servant sears. Bookmark the permalink.